The Locky virus is a crypter virus that is very popular right now on the web. This crypter is very interesting because of the way, it gets inside of your computer. The spreaders are using a simple .doc file, that looks like some reports, resume or something else very common. But to view it completely, this document will offer you to enable macros in your Microsoft Word. When you do that, this document will start a download of a malicious [random].exe file, which is a Locky virus. This file will be located in %Temp%\[random].exe folder (%temp% is a “C:\Users\*your user name*\AppData\Local\Temp” folder). Unfortunately, this is not fake encryption, if you see this message, then your data is gone… Unless you pay for the decryptor tool that will be offered by these extortionists, which we are not advise you to do! How to remove Locky virus crypter? The only thing that you can do with Ransomware Locky virus is to backup your computer from any restore point you have. And even this won`t be easy, Locky virus will lock itself in your computer and you will have to load in Safe Mode with Networking to be able to remove it. We have created a removal guide here, to help you remove Locky virus from your system, but it won”t restore your data (most likely, depends on a restore point). If you using Windows XP, Vista or 7 you must gently and repeatedly tap on F8 Key, until you see the Advanced Boot Options on your screen. If you are using Windows 8/8.1, press the Windows key + C, and then click Settings. Click Power, hold down Shift on your keyboard and click Restart, then click on Troubleshoot and selectAdvanced options. In the Advanced Options screen, select Startup Settings, then click onRestart. 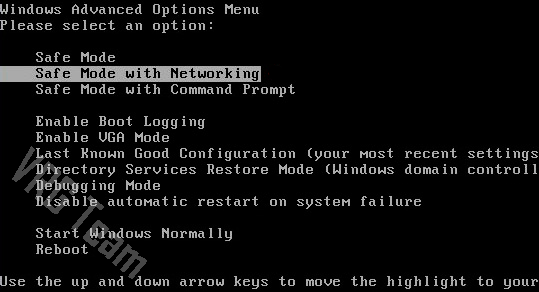 When you in Advanced Boot Options screen you need to choose Safe Mode with Networking option and your windows will start in this mode. Sometimes this virus may not be listed as installed application in your system. In this case, you need to kill the Locky virus malicious process manually, find and remove all files that are connected to the Locky virus virus. After that, launch your search in the system folders with “Locky virus” parameter. NOTE: This step will only help you if restore function were enabled before the Locky virus infection. Otherwise, you will need to recover your system from a boot drive or reinstall Windows. Recommended Restore is the default choice, which will restore the most recent point. Follow the instructions on the screen (preaty much like Windows 7). Step 4. Use an anti-virus program to protect yourself in the future against Locky virus. The installation process is quite simple, you can choose the language you prefer most, before the process itself. After, you can choose the exact path where anti-virus will be installed. Press “Next” button to proceed and follow the instruction. After the installation, you need to enable a Real-Time protection. This function will stop Locky virus executable file. To enable this moduel, go to the “Protection” tab and press “Start” button to the right of the label. Do not download any suspicious email that contain .doc files! If you did, do not open it! You must remember, that using anti-virus software is very important, this is the only way to be sure about your safety! 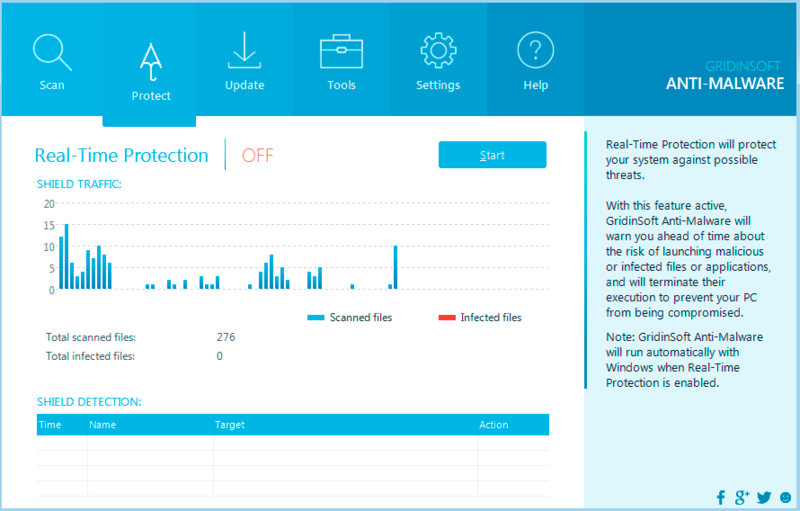 Not so long ago GridinSoft have release their tool for protection against ransomware and cryptors. 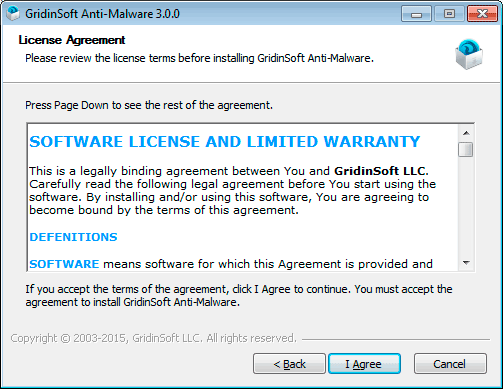 GridinSoft Anti-Ransomware is still in free beta phase so they will be glad for all feedbacks they can get. Help them to make this product better and try to use this program to protect your computer from future ransomware infections! Open the program and enable the protection. We hope this guide helped you with your problem. If you are looking for a way to restore your encrypted data, you will have to pay to extortionists. If you have any questions about Locky virus crypter or you have some thoughts about viruses, that you’d liked to share, please, leave a comment below. We will be happy to assist you. Locky crypter, Locky decrypt, Locky ransomeware, Locky virus, Locky virus crypter, Locky virus delete, remove Locky virus. Bookmark. •Recommended Restore is the default choice, which will restore the most “receant” point. Hello, recently I was infected with ” locky ” . All pictures , my documents were modified and encrypted. With the help of ” Recuva ” I managed to bring back the name back but can not decrypt . I got the virus from the mail , I was infected both PC and external HDD . PC formatted but I can not afford to lose documents on the hard disk. Do you have any solution ? Greetings, if you don’t have any backups of your data, then there is almost no chance, unfortunately. You can try to use a ransomware decryptor that has some key database for other cryptoviruses. But you must understand, the chance to decrypt Locky with this tool is very low. Otherwise, you will have to wait until there will be a specific decryptor tool. I will keep an eye on such program and if something pop-ups, I’ll inform you by your email. I’m sorry and I wish you a good luck.